Our Binnacle Ring Is Excellent For Use In The Garden Or Around Boats As It Has Many Uses. 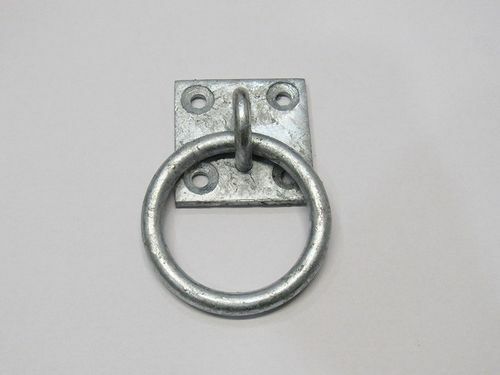 We also stock binnacle rings in our store, which are staple on plates with a ring attached through the staple. These are made from steel before being galvanised to add an extra layer of protection against rust. These binnacle rings have many uses for boats and for the garden, and you know you're always getting quality when you buy from SecureFix Direct. With such a great choice when it comes to brass Inglefield clips and binnacle rings there's no reason to shop anywhere else. Why should I choose SecureFix Direct for buying Binnacle Rings? We pride ourselves on our high quality items, and we only stock the very best products that can have a positive impact on you. We also keep our prices low, so you don't have to break the bank whenever you need to purchase a new set of rings. For help and advice when it comes to Binnacle Rings, make sure you get in touch with a friendly member of our team today. For further details about our products, or to find out more about SecureFix Direct, then simply get in touch with a friendly member of our team today. We'll be more than happy to assist you with anything you need, and help you make the best purchase decision.